Capable of withstanding greater beating and the toughest punching routines, the Lonsdale L60 4ft Heavy punch bag is designed with special thick foam filling to ensure comfort and prevent any injuries during training. The outer layer is manufactured from high quality leather hide offering exceptional resistance to tearing and accelerated wearing. The bag with D-ring on the bottom easily tethers to the floor, and hangs on four suspension hooks to maintain optimal stability when punched with force. The bag looks phenomenal with featured branding and colour, as well as provide excellent ways of training any fighting sport safely. for submitting product information about Lonsdale L60 4ft Heavy Leather Punch Bag We aim to answer all questions within 2-3 days. 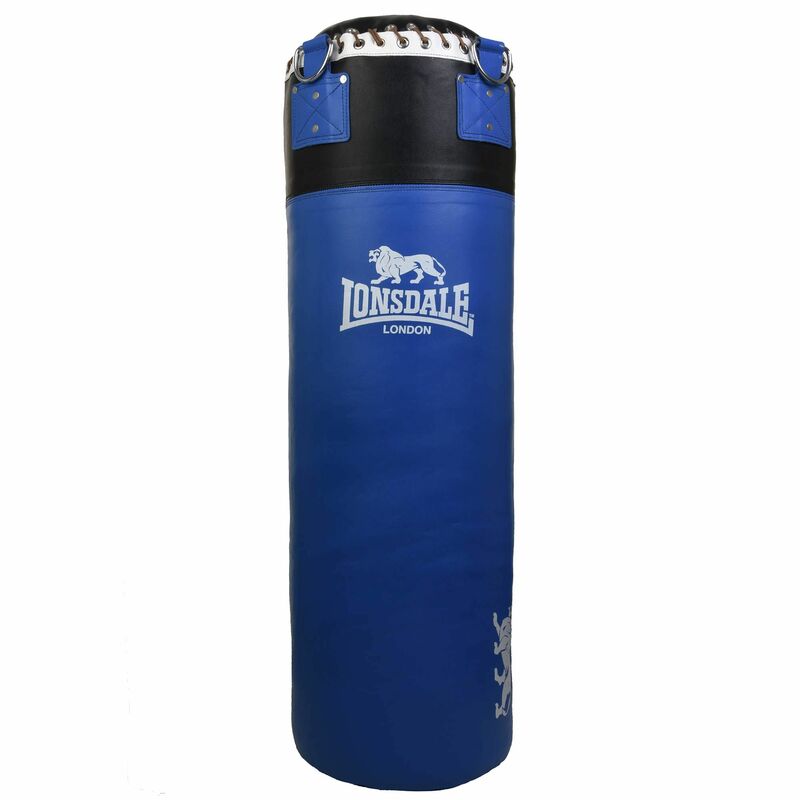 for submitting product information about Lonsdale L60 4ft Heavy Leather Punch Bag. We aim to answer all questions within 2-3 days. If you provided your name and email address, we will email you as soon as the answer is published. for submitting product review about Lonsdale L60 4ft Heavy Leather Punch Bag.